24 Hours should really come with a warning about how addictive it is! I started reading it this morning thinking I’d just read a couple of chapters while I drank my coffee and I got so engrossed that the next thing I knew I’d finished the book and it was lunchtime! This is such a brilliant thriller, it’s impossible to stop once you start reading! 24 Hours is the story of Laurie Smith; she has been caught up in a fire in a hotel and believes her best friend is dead and that her daughter may well be in grave danger. She is now in a race against time to find her. The novel is told in alternating chapters - one from the past that gradually leads up to the present day, and one from each of the 24 Hours that Laurie is frantically searching for her daughter, Polly. It’s so well written because you’d think that the chapters told over the 24 Hours would be the most intense but the chapters set leading up to this day become increasingly more unsettling and there reaches point where there is such tension in every chapter that you almost can’t breathe. 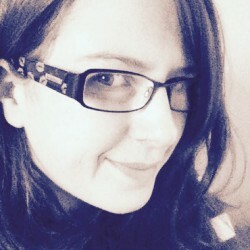 Each of the 24 Hours is brilliantly plotted, you can almost feel Laurie’s increasing tiredness and exhaustion as the hours draw on and the way she starts to question herself and what she thinks she knows because she is almost delirious with fatigue, it begins to feel like you’re in it with her and you’re as unsure as she is. It’s such good writing. I rate this book 10 out of 10 and highly recommend it. I read a lot of psychological thrillers and this one just felt so refreshingly different to a lot of others that I’ve read of late. Go buy this, you won’t regret it! 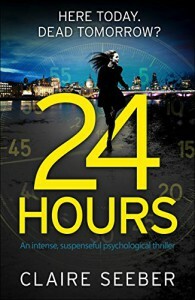 24 Hours is published today and is available from Amazon.